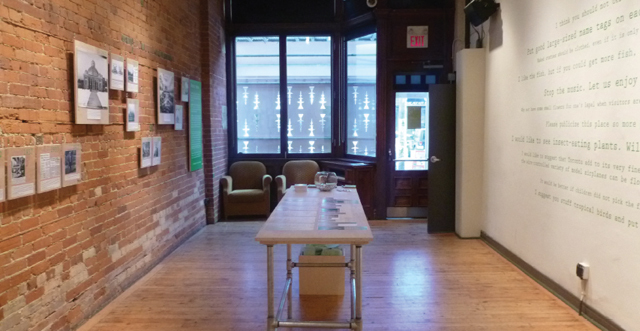 In April 2013, the Gladstone Hotel held the first annual Grow Op: Exploring landscape and place, an event curated by landscape architect Victoria Taylor, OALA. Representing the Friends of Allan Gardens, a team from ERA Architects contributed an installation called “Hoarding Suggestions.” The exhibit used materials from the City of Toronto Archives to raise visitors’ awareness of the history of Allan Gardens and the tradition of public engagement in the park. At the same time, these resources became a basis for encouraging visitors to interact directly with the exhibit and share their own visions for the park’s future. 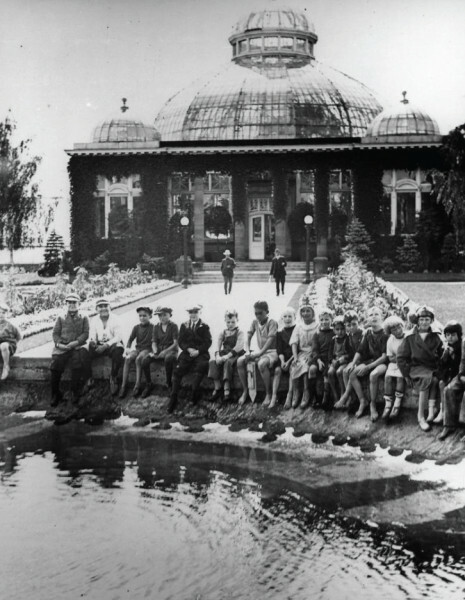 In 1863 – 150 years prior to the exhibition – Allan Gardens became freely open to the people of Toronto. Soon, the park was a cherished public space and a landmark within the city. 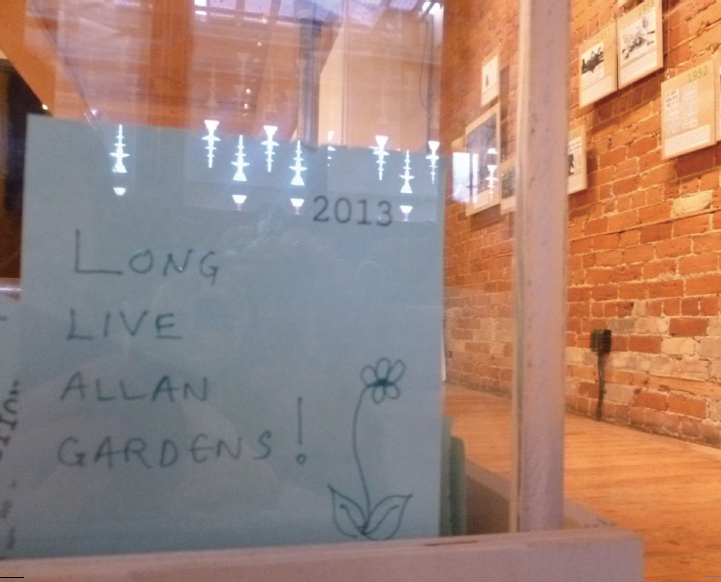 In 1963 – 50 years prior to the exhibition – the Parks Department placed a suggestion box in Allan Gardens. 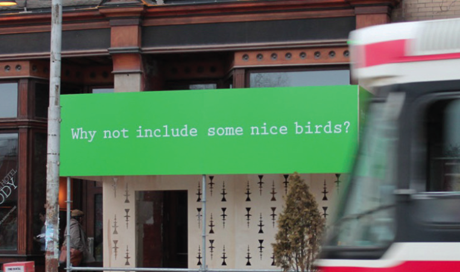 It turned out that Torontonians were full of ideas for how to improve the park. In 2013, the Hoarding Suggestions team found their suggestions, neatly transcribed by a Parks official, in a folder at the City Archives. The team believed that Toronto’s public landscapes could benefit today from the kind of creative energy and hopeful spirit that filled the suggestion box in 1963.